biblemap.org - Online BibleMap - The Bible is on the map. 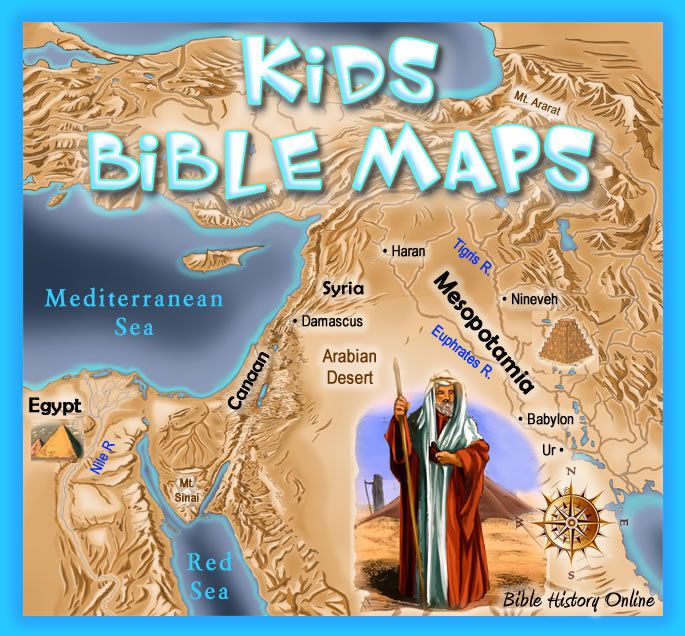 bibleist.ru/map.php - Bible maps - A site with high-resolution biblical maps. Site in Chinese, but maps with Russian text. Qualitatively executed, visualized in the children's style maps of events in the Bible. Well structured, not overloaded, nothing superfluous. Choose a story and get a map, you can read the story itself.